My primary goal as a marriage and relationship therapist is to help you integrate your mind, body and spirit so that you can achieve greater happiness and peace in your relationships, and in your overall life. I emphasize the principles of warmth, positive regard, genuineness, and empathy with my clients who are looking for help in their relationships. Research has shown that the nature of the relationship between clients and therapists are key in helping people make effective and lasting improvements in their lives. In our marriage or couples therapy or relationship work, I will guide you to make your own choices about the kind of relationship and life you want for yourself and your family. My work in couples therapy involves helping you listen to each other at a very deep level. This enables you and your partner to support each other and deepen your connection. When you and your partner can truly hear one another’s needs, desires and hurts with respect and love, change can occur. I aim to help you make progress quickly so you can break the pattern of getting mired down and frustrated with your relationship problems. I want you to feel hopeful after our sessions so that you are motivated to continue to create the kind of relationship that you want. The main approach I use in relationship, couples and marriage therapy is the Bader-Pearson Developmental Approach. This model of couples therapy helps you become comfortable in expressing your deepest thoughts, feelings, desires and fears with your partner in order to understand each other better and become closer. The Bader-Pearson Model focuses on encouraging your individual growth by helping you “differentiate” yourself from your partner. In couples therapy, this means becoming stronger as an individual in order to tolerate and negotiate differences you have with your partner. This helps you and your partner to be free and independent from one another, while remaining deeply connected. As a person-centered therapist, I hold the core values of empathy, genuineness and unconditional positive regard for you as the client. These values help you feel heard and cared for by me as your therapist, which in turn, help you build strength and confidence to make your own decisions and reach your highest potential. As your therapist, using the principles of person-centered therapy I will create a safe place for you to build trust with your partner and myself. Trusting relationships are essential for growth to occur. CBT is a popular method of psychotherapy that is used widely and has a lot of research showing its effectiveness. It helps you focus on your thinking patterns and replace negative ones with more positive ones. When you change your thinking, your feelings and behavior change. You can then establish a new and better way of relating in relationships. Gestalt therapy helps you, or you and your partner, focus on the “here and now” as you work to improve your relationship patterns. It helps you be more aware in the moment of your thoughts, feelings, and behaviors. Increased awareness helps you better know what you need, articulate it to your partner, and change negative patterns and faulty assumptions that are holding you back. Gestalt therapy helps you and your partner become more whole as individuals so that you can have a better relationship. Contact me to find out how I can help and to book a therapy appointment. If you are a couple, I will give you an article to read titled, “How to Get the Most from Your Couples Therapy.” In addition, you will complete a “Couples Questionnaire” and an Intake form & Confidentiality Agreement before our first counselling appointment. If you are ready to move beyond your relationship problems and have a better love, contact me now. 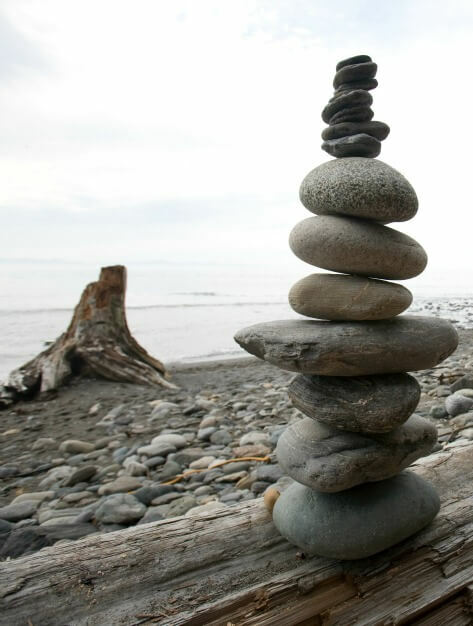 My therapy offices are located in Ladner and White Rock, BC.